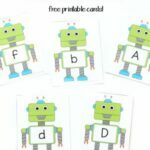 This alphabet game is a fun and engaging way to teach letter recognition to preschoolers. Kids will love racing to see which rocket ship blasts off first! Evan loves games and he loves rockets. 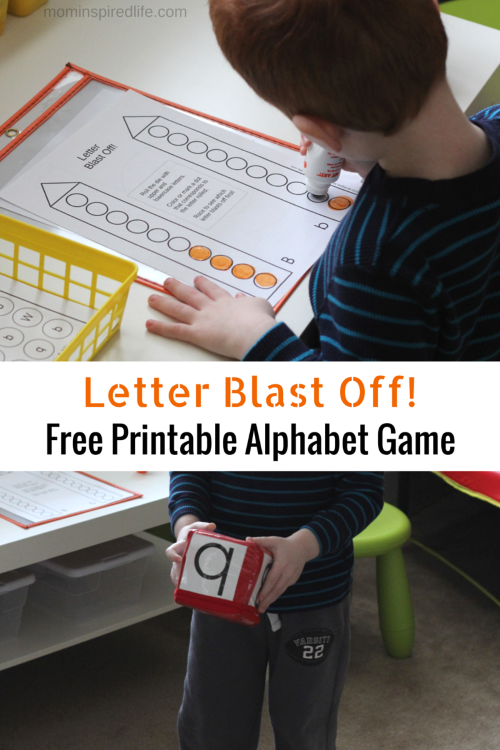 I combined the two to create this exciting printable alphabet game and it was a big hit! He loves throwing the dice around and then running over to dot one of the rocket ships. 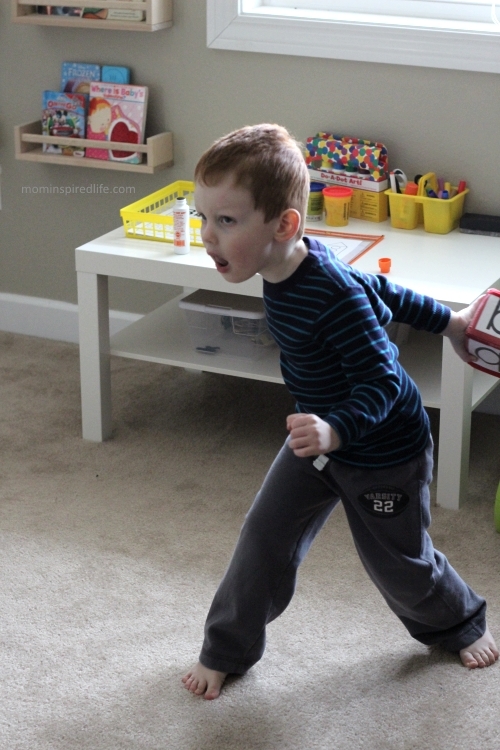 I like that he is learning so much while still getting to move around and play! 1. 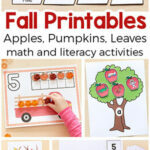 Print the letter cards for the letter cards and matching game boards. 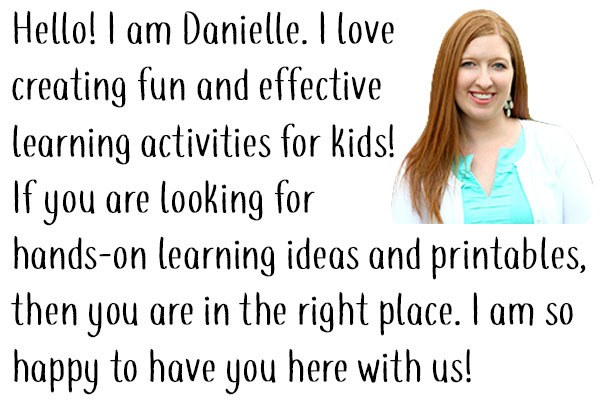 I print the letter cards on card stock so they hold up well and slide into the photo stacking blocks easily. I print the game boards on regular printer paper. 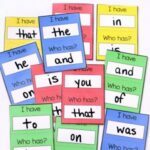 However, if you would like to reuse them, you could slide them in to sheet protectors or laminate them and have your child color the dots with dry-erase markers. 2. 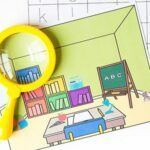 Put the letter cards for the first letter you would like to work on in the photo stacking cubes. Three sides will have the lower case letter and 3 sides will have the uppercase letter. 3. 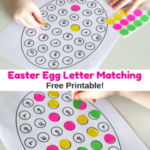 Lay out the matching game board for that letter. 1. The child should roll the die. Evan loves to throw it in the air and even kicks it sometimes. Since it is soft it doesn’t hurt anything. 2. 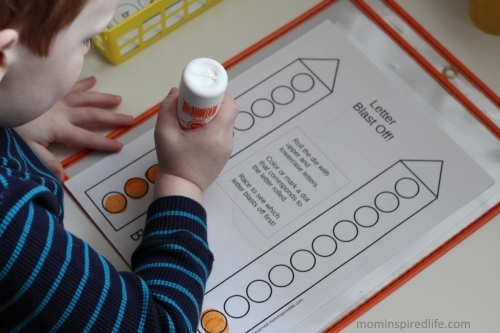 Then they will identify whether the letter facing up is lowercase or uppercase. 3. Next, they should locate the rocket ship on the game board that corresponds to the letter they rolled. 4. Finally, they will dot one of the circles on that rocket ship. 4. Repeat these steps until the last circle on one of the rocket ships is dotted with the do a dot marker. That letter rocket wins! We are having so much fun playing this game! 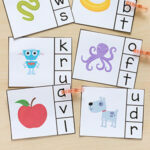 I plan to create more games with the photo stacking blocks and letter card inserts, so stay tuned!